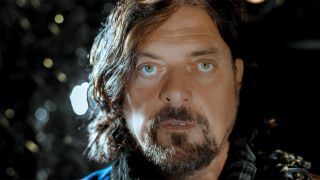 Alan Parsons has signed a new deal with the Frontiers label and has revealed he's working on a new solo album, due for release in early 2019. This will be the first Alan Parsons album since 2004's A Valid Path, which saw him work with David Gilmour and The Crystal Method. Parsons also has history with new label Frontiers, having released 2010's Eye 2 Eye - Live In Madrid album. The overall musical approach of the album is expected to be in keeping with the symphonic rock that Alan explored on his earlier solo records and the Alan Parsons Project albums. The Secret will feature special guest performances, which will be announced in due course.